Business Savvy Girls | Harts on Fire Business Savvy Girls | My heart for teaching and learning laid bare. I have known Jenny since we were five years old, when a little over a kilometre separated our houses on the edge of Wagga Wagga. We were best friends or worst enemies throughout our schooling due to our similarities and competitive streaks. After school we went our separate ways but over time our similarities have brought us together again. Jenny is passionate about financial literacy, particularly for women and children. I am passionate about improving the agency of young people by empowering them with a range of skills to navigate their path in the world. 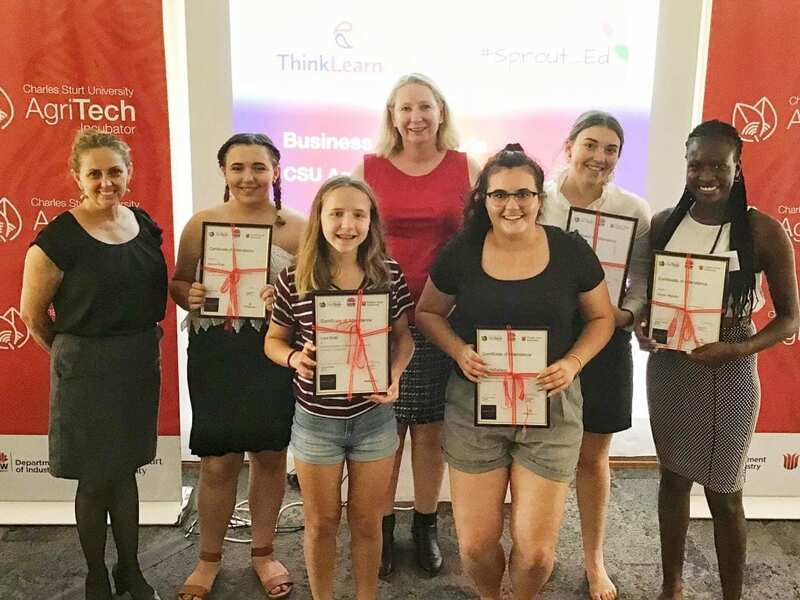 I am so pleased Jenny asked me (as part of my Think Learn Act business) to help her produce the Business Savvy Girls Workshop, which we conducted over the last three days of this week (23-25 Jan 2019). The program was designed for young women to discover and develop their passions, skills and attributes to build a business idea upon. We based it loosely on the Design Thinking model and used the Lean Canvas template for fleshing out their business concepts further. 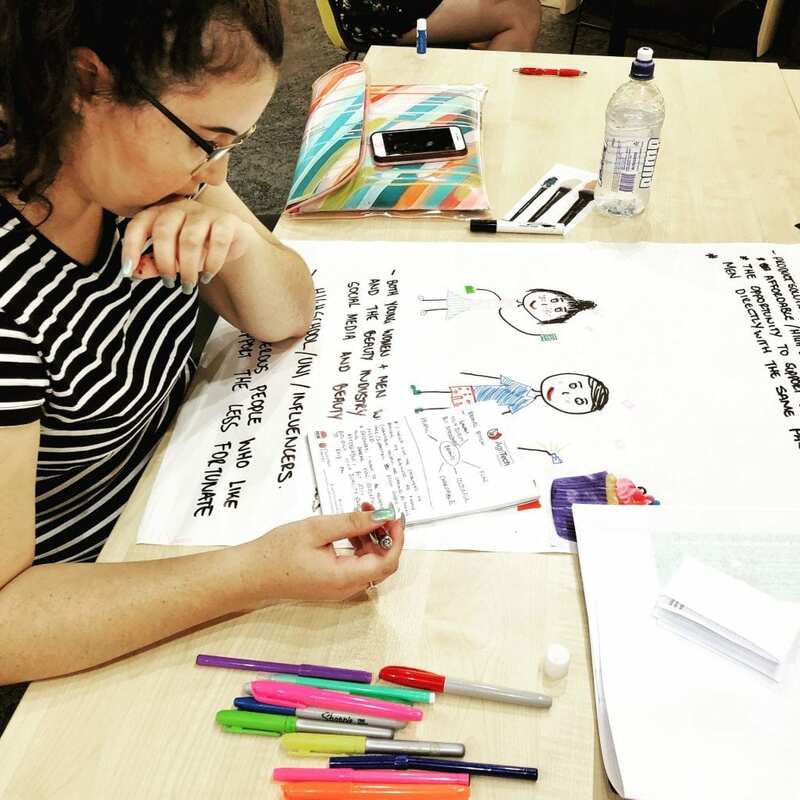 Activities included business idea prompts, creating an example of a customer (drawn, named and given characteristics) and website development. We discussed legal requirements, networking and promotional activities. The three days culminated with our participants presenting three minute business pitches at a lunch with a number of local business women who provided wonderful advice, guidance and encouragement. Alexia, Bella, Lara, Vivian and Zoe are amazing young ladies who invested time and energy from 9am to 4pm each day with only two half hour breaks on the first two days and no breaks on the last day. The air conditioner struggled to process the near constant 40℃ outside. Alexia was already on the business path with her business, Dislexia, running on a Facebook page. The business name is a play on her name but after choosing it found she was indeed dyslexic and had misspelt it. During the workshop she started designing a logo with the D back to front in Canva’s logo design tool. She has plans for major expansion and diversions. The youngest, aged 12, was already running an online business with her Dad but came up with her own ideas and extra confidence through the workshop. Common across the ideas being developed at the workshop was concern for community, communication and the more disadvantaged in society. These young women are definitely social entrepreneurs, very focused on developing businesses with a conscience. 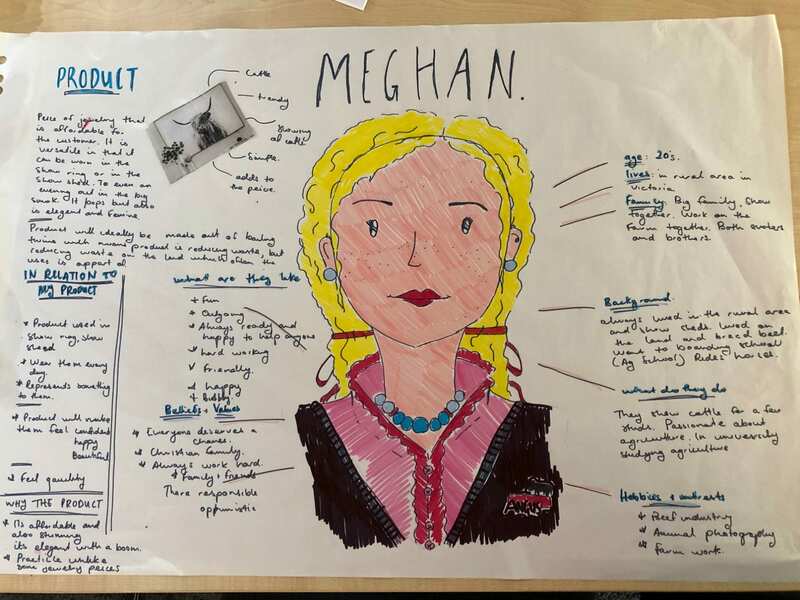 Meghan shows cattle and needs to look good from the showground to formal dinners. Her jewellery needs to be cheap and preferably environmentally friendly. The vision is for scrap bale twine to be melted down and made into jewellery through a 3D printer. The participants did a two minute pitch before lunch on the first day but most only reached a minute or so and were pretty laid back. Twenty-four hours later they did a second attempt. They were visibly more nervous in manner but the business ideas and depth of information provided had much improved. One went for the full two minutes. I provided a rough scaffold to refine the approach: outline the customer and the problem(s) they face, describe how the business will solve the problem(s) and have strong branding (what the business stands for). On the last day they had three hours to finalise their Lean Canvas sheets and a three minute pitch. One of the participants had a reasonable business idea the previous day but at the start of the final day she apologetically confessed to having changed her approach somewhat. She had gone home and thought more about her passions, applied them to her business and ended up with a brilliant concept. I was so proud. I was proud of all of them. We didn’t time the pitches to the business women but they were all on the money. Not only that, the questions posed by the business women didn’t seem to faze them. 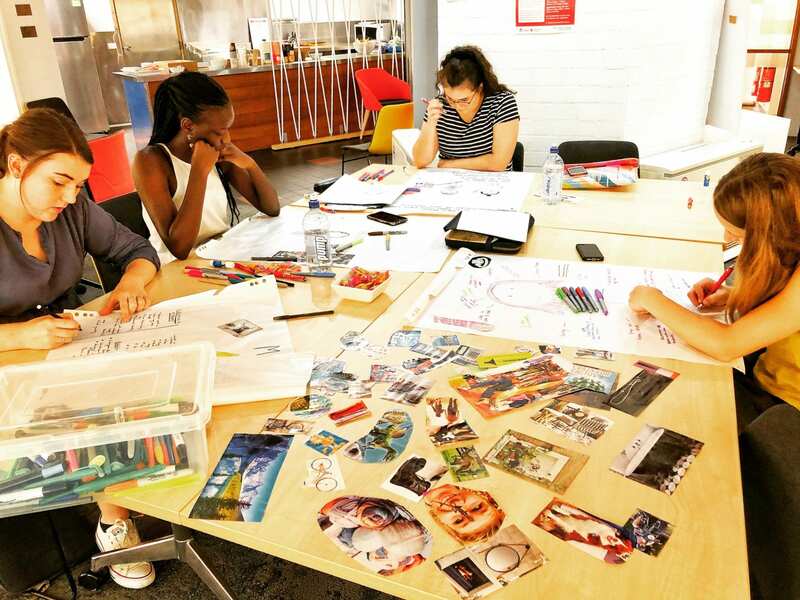 They knew their concepts thoroughly and provided thoughtful and intelligent responses. They were open to suggestions and after the formal session was over, talked further with the experienced and wise. The business women gradually and reluctantly left, blown away not only by the business ideas, but the hearts and minds of those who held them. For me, it was such a joyful experience to see the growth and development of our young women. On a more personal note, it seemed my friendship with Jenny that commenced when we were five had completed a full circle. Even though we both have a lot going on in our lives, we worked seamlessly together on this workshop. At the beginning of the week I found out that I wasn’t awarded a scholarship for the PhD I commence this year when I felt quite certain I had achieved enough to receive it. My husband and I are also struggling to finance a house we are contracted to buy, despite achieving pre-approval for the amount we require. However, Jenny went through the last days of her mother’s life this week. Her Mum passed away peacefully as the family sat around in vigil in the early hours of Friday morning. Yet, Jenny only missed a couple of hours on the Thursday afternoon and the Friday morning of the workshop due to the importance she places on empowering young women. Working together this week was meant to be. Many thanks to the Agritech Incubator at Charles Sturt University, particularly Siobhain Howard, for hosting us and providing food and other forms of support. Also much appreciation to our business women, Emma Grant, Leonie McCallum, Lauren Eccleston, Pennie Scott, Vickie Burkinshaw and Anne Reardon of Allegro Ballet School.